Lip gloss was always, before now, the last product I would ever reach for. Consider me reformed following the release of Lancôme's new Juicy Shaker. A pigment infused bi-phase lip oil. These little wonder products are different to all the usual glosses due to their nifty bi-phase formula, meaning the oil and pop of colour pigment sit separately in the bottle and it requires a shake before use (drawing inspiration from the lipstick shakers of the 90s and a martini bottle). Shaking the product will ensure the oil and colour pigment are mixed before use, the harder you shake the stronger the colour you end up with. They are relatively sheer glosses that feel extremely nourishing on the lips due to the fact they contain the likes of cranberry oil, sweet almond oil and omega 3 which means they leave your lips gorgeously soft and not at all sticky - rejoice! The shades I've shown here are the shades I've been wearing pretty consistently, Freedom of Peach (pictured on the left) and Lily Collin's alleged favourite, Mangoes Wild (on the right). Just 2 of 14 shades available! Not exactly build-able but to be honest, they don't need to be. There is just enough colour to lightly lift your natural shade. 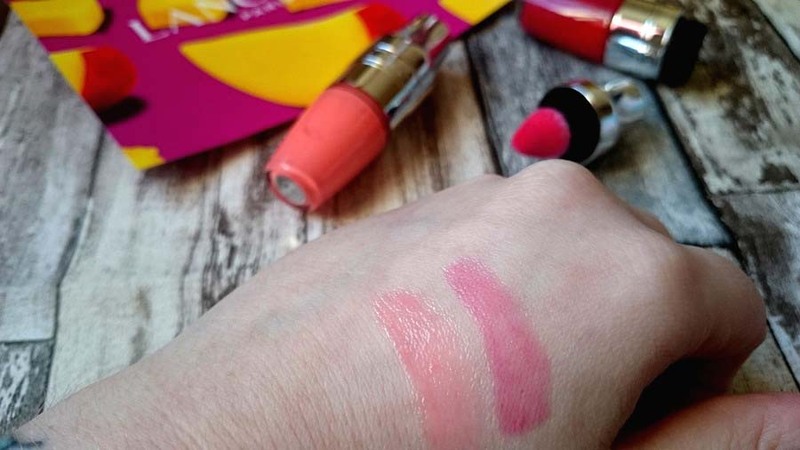 I have tried these over a matte lip and a lip pencil as well and can attest to the fact they add a little dimension to the lips and we can't forget about the nourishing, right? The other point I absolutely have to mention is the scent of these products. Oh my...... The Mango one in particular is DELICIOUS. So delicious that it threw me right back to when I first discovered The Body Shop's strawberry lip balm as a teenager and had to remind myself it was for putting on my lips and not for eating... they smell that good. Let's talk applicators shall we? This is my first experience with this style of applicator and everything pales in comparison now, I've become rather used to the soft cushion applicator that swipes over the lips with absolutely no tug and no product waste either due to the way it is dispensed into the applicator after the martini style shake before use. It's the perfect shape for glossing the lips in a hurry and because of the sheer nature of the lip gloss you don't have to concern yourself with precision! Glossy? Yes! Sticky? NO! 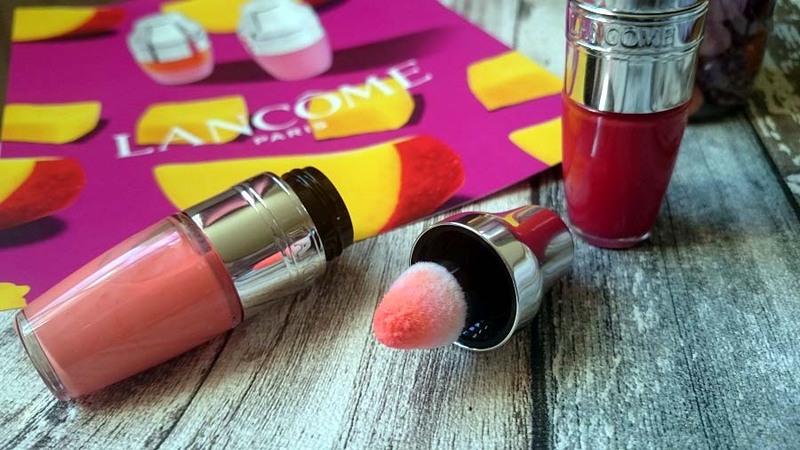 The Lancôme Juicy Shaker just melts onto your lips. The first lip gloss style product I've thoroughly enjoyed wearing AND applying. They're fun and fresh and something new for the beauty market. Various shades are available from Cherry Symphony (I want to try that one next!) through to the Limited Edition 400 Mint to Be. 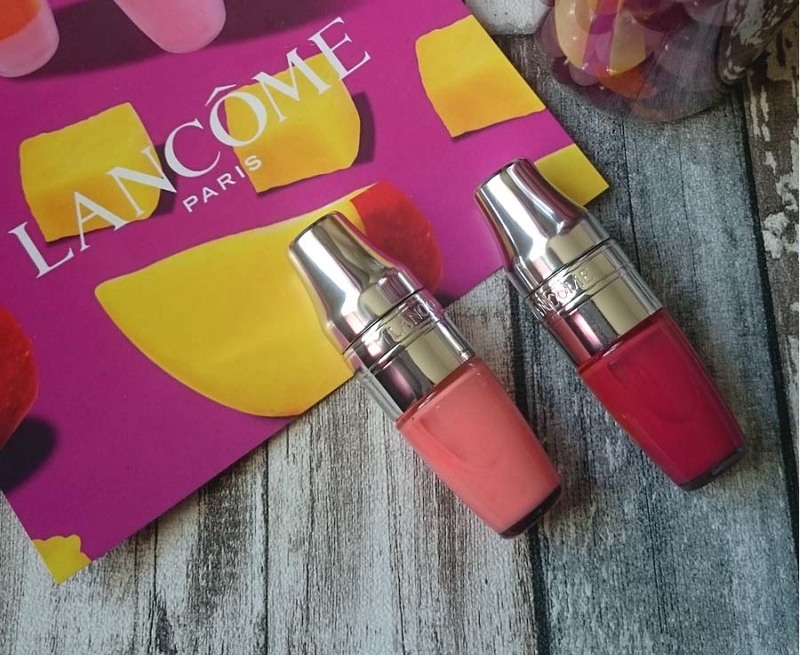 You can find the Lancôme Juicy Shakers on either www.lancome.co.uk where they're priced at £18 (same as Boots and Selfridges) or if you're in the ROI you can find them at www.carapharmacy.com for €22. Have you tried any of the Lancôme Juicy Shakers?